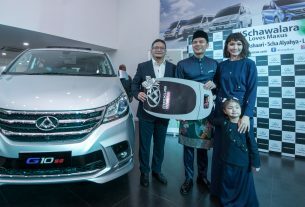 Mercedes-Benz Malaysia, together with its newest dealer partner, Auto Commerz Sdn Bhd, are further enhancing customer services with the unveiling of the interim Mercedes-Benz Auto Commerz 2S Service Centre located in Setapak. Complementing the interim Mercedes-Benz Auto Commerz Autohaus launched in September 2017, the new service centre kicks Auto Commerz’s strategy into high gear, to deliver a unique and individualised customer experience for Mercedes-Benz customers. “On behalf of Mercedes-Benz Malaysia, I congratulate our ninth dealer group, Auto Commerz, on the launch of their new service centre. We believe the partnership we share with Auto Commerz reflects our common passion and care for our customers and their needs. 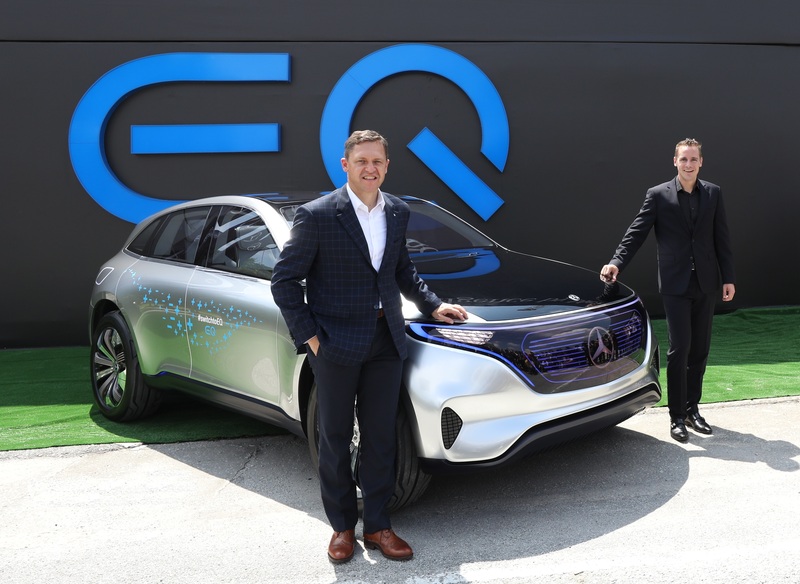 With the widest premium automotive dealer coverage in Malaysia, we are focused on ensuring that the quality of service offered throughout the customer journey embodies the Best Customer Experience,” said Mercedes-Benz Malaysia President and CEO, Dr Claus Weidner (below, left). The Mercedes-Benz Auto Commerz 2S Service Centre, located just 950m away from the Mercedes-Benz Auto Commerz Autohaus in Setapak, has a land area of 13,866 sq ft and built-up area of 9,200 sq ft. 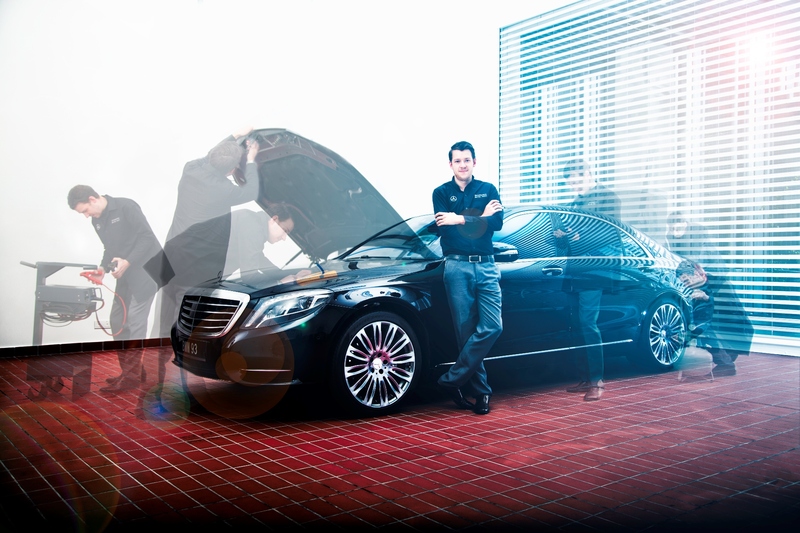 Built to serve the expanding Mercedes-Benz customer base, the service centre is equipped with state-of-the art Mercedes Benz approved diagnostic tools and equipment, and operated by professionally trained Mercedes Benz Certified Service Specialists. “As the latest dealer group to join the Mercedes-Benz network in Malaysia, we are proud to add customer services to our repertoire. With this update, we now deliver a complete end-to-end customer experience and we welcome all Mercedes-Benz owners to our new service centre for the best aftersales care that the Auto Commerz team can offer,” said Auto Commerz Dealer Principal, Eric Khoo. The interim Mercedes-Benz Auto Commerz 2S Service Centre sports the sleek Mercedes-Benz Presentation System II (MPS II), in line with the Three-Pointed Star’s brand identity customers have come to recognise. Its optimally functioning work bays have the capacity to service up to 200 vehicles per month. The interim Mercedes-Benz Auto Commerz 2S Service Centre is located at No. 14, Jalan Usahawan 5, Kawasan Perusahaan PKNS, Setapak 53300 Kuala Lumpur. For more information please contact tel: 03- 4144 5500. Mercedes-Benz Service Clinics – My Specialist. My Service. The service clinics cater to Mercedes-Benz cars, aged 48 months old and over. Customers who wish to have their vehicles undergo a full safety check conducted by a Mercedes-Benz Service Expert from Daimler, popularly known as a ‘Flying Doctor’, are urged to book their appointments in advance to secure their slot. The initiative allows customers a first-hand look at the comprehensive expertise and service that go into maintaining masterpieces bearing the Three-Pointed Star. “Our customers are always at the centre of our activities. This is why we go to great lengths to ensure our customers enjoy the Best Customer Experience in every encounter with the Mercedes-Benz brand along the customer journey,” Mercedes-Benz Malaysia, President and CEO, Dr Claus Weidner. 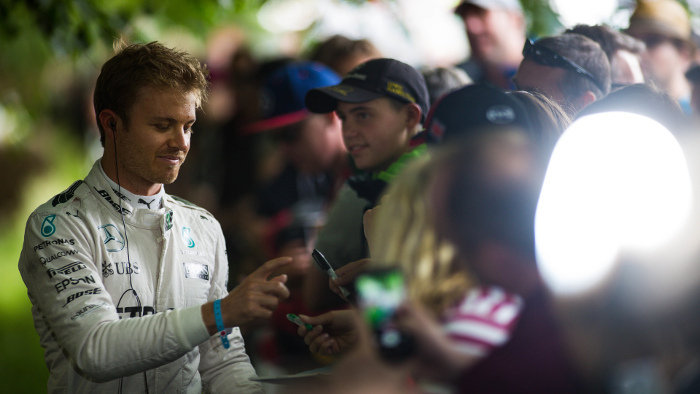 During the Mercedes-Benz Service Clinics, Mercedes-Benz cars are given a full safety check conducted by the ‘Flying Doctor’. Each car is then followed up by assigned teams for the relevant service or repairs recommended. “A Mercedes-Benz car is a masterpiece that is maintained by craftsmen with an intricate understanding of vehicles bearing the Three-pointed Star. Being passioante fans of the brand, we understand our customers carry much sentimental value with their Mercedes-Benz cars. The Mercedes-Benz Service Clinics demonstrate the strong support our dealer network receives from Mercedes-Benz Service Experts from Daimler in order to care for our customers’ prized Mercerdes-Benz cars,” added Mercedes-Benz Malaysia, Vice President, Customer Services MBC, Passenger Cars, Heinrich Schromm. In addition to providing valuable peace of mind to customers, the service clinics also present opportunities for talent development. As a result of assisting the ‘Flying Doctor’ during the service clinics, Mercedes-Benz Malaysia’s local customer services teams gain valuable experience and knowledge which exemplifies the Mercedes-Benz philosophy of ‘lifelong learning’. To-date, Mercedes-Benz Malaysia has 33 dedicated dealerships nationwide delivering the Best Products and the Best Customer Experience throughout customers’ entire journey, maintaining Mercedes-Benz Malaysia as the largest premium automotive dealer network in the country. Newest Mercedes-Benz authorised dealer partner, Auto Commerz, unveils 9,200 sq ft 2S service centre in Setapak, demonstrating its commitment to bring the customer experience to greater heights, further strengthening Mercedes-Benz’ retail brand presence in Malaysia. Auto Commerz realises its expansion plan as a Mercedes-Benz dealer while Mercedes-Benz Malaysia increases its overall presence for superior customer service. 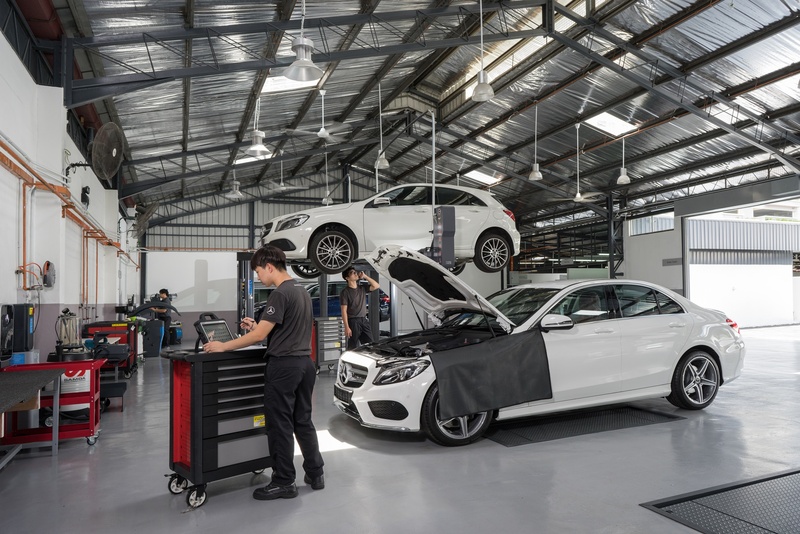 With an investment of RM2 million, the service centre comes fully equipped with state-of-the art Mercedes Benz approved diagnostic tools and equipment, and staffed by professionally trained Mercedes Benz Certified Service Specialists. 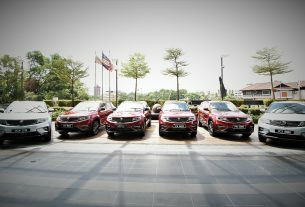 8,500 Proton X70 delivered in the first 100 days!